Colleges in Kochi help the aspirants in gaining higher education in various fields such as engineering, arts and social science, law, commerce, medical science, journalism etc. Institutes with national importance and research centers of excellence are located in Kochi. Some of the well-known colleges situated in Kochi are Amrita School of Pharmacy, Bharata Mata Institute of Management, Bhavan's Royal Institute of Management, Co-operative Medical College, Model Engineering College, Rajagiri School of Engineering & Technology, School of Communication and Management Studies, School of Legal Studies Cochin. Amrita School of Pharmacy is recognized by Pharmacy Council of India (PCI), National Assessment and Accreditation council and All India Council for Technical Education (AICTE). Before, the college was known as Amrita Institute of Pharmaceutical Sciences. It functions as a Center of Excellence for higher education in pharmaceutical science. Bhavan's Royal Institute of Management imparts high quality education in the field of management. It offers a course that leads to (PGDBM) Post Graduate Diploma in Business Management. Bhavan’s Royal Institute of Management is approved by All India Council for Technical Education (AICTE) and affiliated to the University of Kerala, Tiruvanathapuram. Co-operative Medical College is affiliated to Cochin University of Science and Technology (CUSAT) and recognized by respective council. Aim behind establishing Co-operative Medical College was to producing eminent medical doctors and to encourage research work in the field. The college works under the aegis of Co-operative Academy of Professional Education formed by the Government of Kerala. Model Engineering College is the leading institute was set up to provide education in the field of engineering. The college, affiliated to Cochin University of Science & Technology, conducts undergraduate and post graduate engineering programs. It works under guidance of Institute of Human Resource Development (IHRD). Rajagiri School of Engineering & Technology is a self-financing technical institution. It is affiliated to Mahatma Gandhi University and approved by All India Council for Technical Education (AICTE), New Delhi. 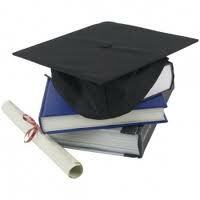 Bachelor’s level technical programs in various streams are offered by this institute. School of Communication and Management Studies (SCMS) Business School is the first management institute in the state to get ISO 9001 certification and it is an A++ Level Institution. It is accredited by the National Board of Accreditation (NBA), recognized by the Association of Indian Universities (AIU), Govt. of India and approved by All India Council for Technical Education (AICTE), New Delhi. It offers a postgraduate course in the field of management and conducts both full time (two years) and part time (three years) programs. School of Legal Studies is approved by Bar Council of India (BCI), New Delhi, offers legal education at under graduate as well as at post graduate levels. Additional facilities provided by the colleges in Kochi are Library, Computer Lab, Internet, Summer Internship, Hostel, Auditorium, Bank, Gymnasium, Cafeteria, Lecture theatres, Examination halls, Separate hostel for girls and boys , Sports, Hostels for boys and girls, Transport, Fitness Centre and Health Centre, Placement Cell, Latest teaching aids. Get connected to different colleges in Kochi which is just a click away. StudyguideIndia will provide you the information as required by you. Information which is provided here is correct. If at all you come across any errors you are requested to kindly let us know. "Following are the list of Colleges in Kochi. All Colleges in Kochi are divided location wise. We have even listed Colleges in Kochi as per alphabetical order making it easy to find the desired college and information on it. If you come across any College in Kochi which is not found in our list below, please do let us know by using add in list which is default in our website”.